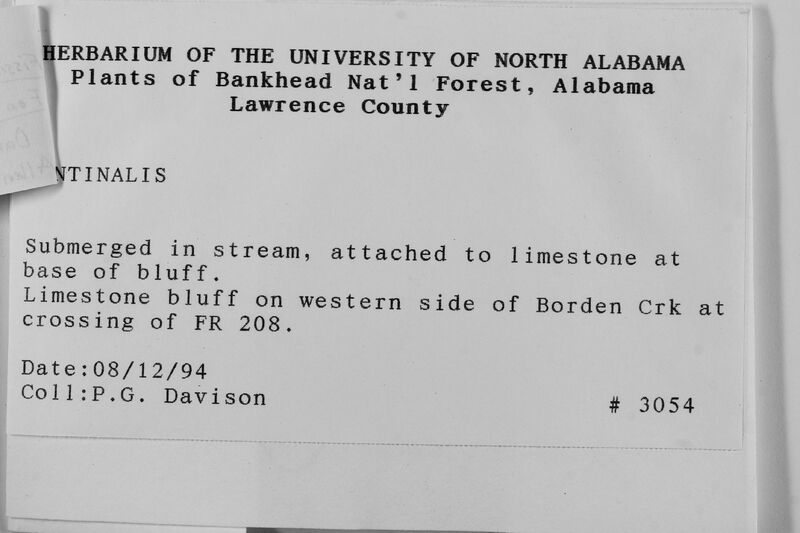 Locality: United States, Alabama, Lawrence, Limestone bluff on western side of Borden Crk at crossing of FR 208. Substrate: Submerged in stream, attached to limestone at base of bluff. 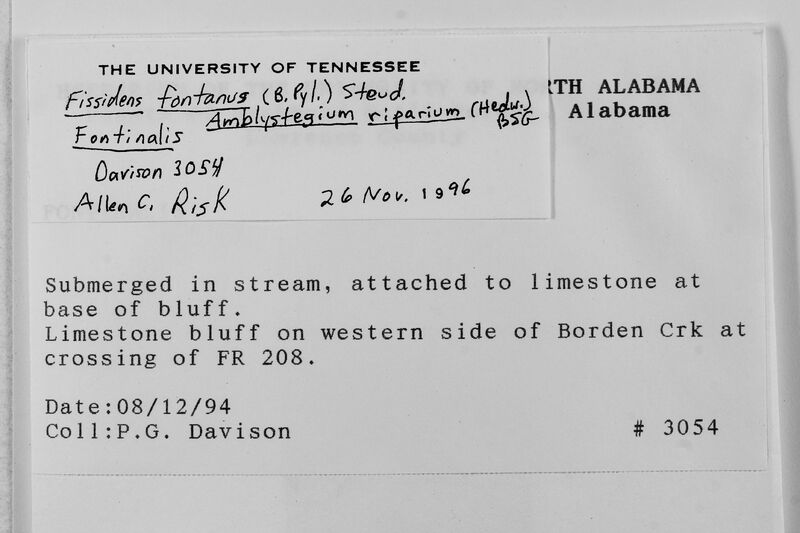 Latest Identification: FISSIDENS FONTANUS (B.Pyl.) Steud.